I found the recent posting, based on new scholarship, to be very interesting. I agree that evidence is lacking for the claims to be made with any imprimatur of authority. As in the case of Thomas Jefferson’s alleged relationship with Sally Hemmings, it many times is a case of the writer/researcher having a predisposed position of wanting to believe certain facts, short of hard evidence. Many, particularly black Americans want to believe that Jefferson had children with Hemmings, but short of DNA evidence, it can be supposed to be true until the end of time. It may never be known as fact. The same is true regarding the sexual orientation of men of the Revolutionary War and Founding era. Some may want to believe it, but without the “smoking gun” of a verified document, diary, letter, etc, it will remain a mystery. But the converse is also true, especially reading this blog posting. While many will lean to what they want to believe, the tone of writer of the blog posting seems to want to deny any possibility that any of the aforementioned historical figures were in fact gay. Perhaps his personal opinion leanings regarding the concept of gay, shade his opinion. I think most of us, I hope, as historians, etc, believe that history should be about truth, whatever that truth may be. As I said in the post, the notion that any or all of the historical figures mentioned in the press release may have been gay doesn’t bother me. What does bother me is the fact that whoever wrote thing is presenting conjecture as fact. 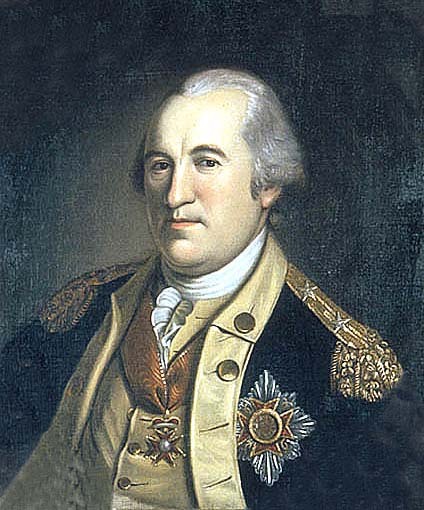 To state that Baron von Steuben was gay is to substitute certainty for uncertainty, and that’s not okay with me. I’ve looked over this issue and the evidence in the statements of the Baron’s own contemporaries, etc., and my GayDar has stayed on the whole time like an air raid siren. You too have and even more specious argument than the one you are trying to debunk. It amounts to simple math. Add up all the known things that indicate he was gay. Add up all the Known things that would indicate he was heterosexual(there aren’t any). It just freaks some bigots out when the objects of their fear don’t conform to stereotype. I bet you would deny that Alexander The Great was gay. After all at 15 yHughears old he defeated the Persians then when on to concur the know world of his time. Gays aren’t supposed to do stuff like that. Fact is gays have contributed as much as all others to the sum total of mankind’s accomplishments. 1. If you’re persuaded that the evidence warrants the conclusion that Steuben was attracted to men, that’s fine. 2. Someone’s opinion on whether or not a historical figure was gay has nothing to do with his or her attitude toward homosexuality. I said nothing about whether or not I object to homosexuality. I’m addressing the argument that Steuben was homosexual, and I find the argument unpersuasive. That’s it. 3. You’re correct that gay people have made important contributions. That’s not at issue here. What’s at issue is whether these specific claims about some prominent figures in the Revolutionary War are true. 4. No, I wouldn’t deny that Alexander is reputed by many to have had an intimate relationship with Hephaestion, a close male companion, although the contemporary evidence for it is scant. I would, however, deny that he conquered the Persian Empire at fifteen; I believe he was actually twenty-five when he did so.